This sauce comes together quickly and simply with only six ingredients. I love the nutty, spicy Asian inspired flavour and it can be used to top bowls of noodles, rice, salads or even as a marinade for meat. I used cashew butter in favour of peanut butter here, simply because it’s creamier and therefore easier to mix into a sauce which can be drizzled, but peanut butter would taste just as good. 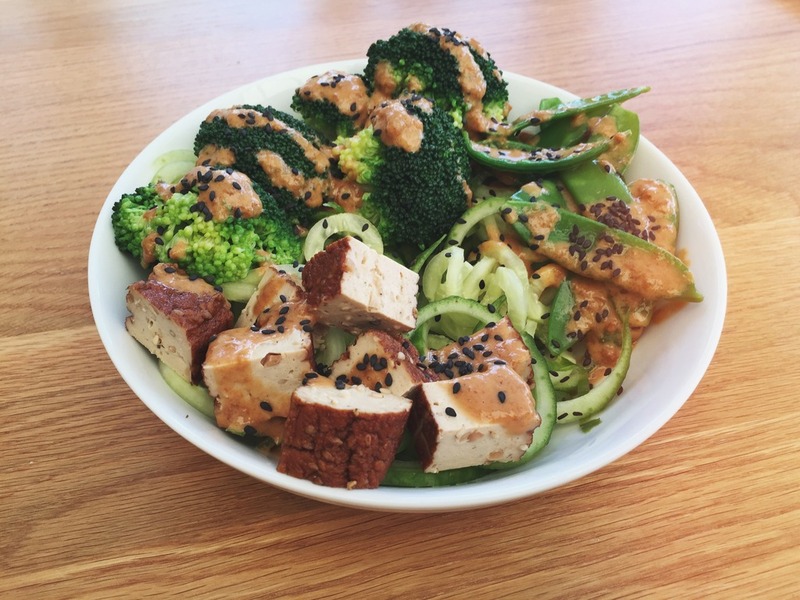 A quick and easy sauce, perfect for buddha bowls made with creamy cashew butter, sesame oil and a hint of spicy sriracha. Combine all the ingredients, mix well and drizzle over the meal of your choice. Best enjoyed straight away to ensure the sesame seeds stay crunchy. I absolutely love the sound of this. Courgetti is a big favourite of mine and I'm trying to be a bit healthier so I definitely need to recreate this! Wow this looks really healthy! It's so surprising how you can make healthy food almost taste better than all those fatty foods! this is definitely something i would eat, looks so good!